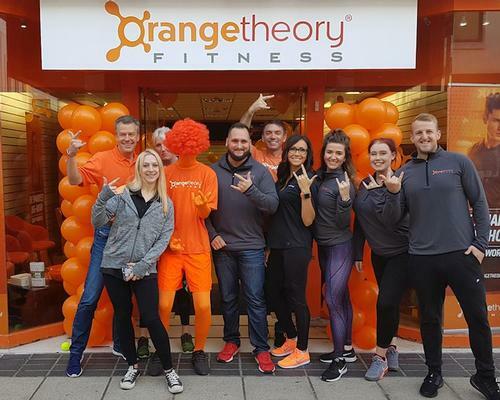 US-based boutique fitness operator Orangetheory Fitness is preparing to open its first club in the North West of England. The £1m studio is set to open in Altrincham, Greater Manchester, on 8 December and will be operated by Wellcomm Health and Fitness – a company set up to run Orangetheory sites under franchise in the north of England. Wellcomm has signed a master franchise deal for the North and Midlands – covering an area from Buckinghamshire to Northumberland – with plans to launch a total of 40 studios by 2028. The 5,500sq ft Altrincham site will be Wellcomm's first location and will be followed by a studio in Derby, scheduled to open in 2019. Wellcomm is owned by a group of entrepreneurs led by chair Mike Dixon and CEO Alistair Firth. They are joined by two non-executive partners, Debra Martin and Colin Wright. Florida-based Orangetheory has ambitious growth plans for the UK market and has signed two master deals – for a total of 110 franchised sites – covering all of England. “We are putting a lot of focus on the UK,” says Dan Adelstein, Orangetheory’s vice president of franchise development. "As well as the 40 sites in the north, we're looking to open another 70 in the southern part of England. Out of those, six will be operating by the end of 2018 and we expect to have a total of 12 operating by the end of 2019." The Altrincham deal was secured in collaboration with independent retail real estate consultancy, Harper Dennis Hobbs. “The North West has been identified as a hub for busy professionals wanting to remove themselves from the lucrative market and financial burden that comes with living in London, so it only seems natural for a fast-paced, boutique-feel fitness studio to follow suit and make the move, too," said James Ebel, CEO at Harper Dennis Hobbs.